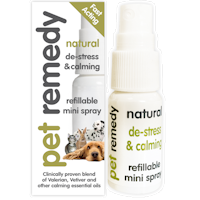 A new and natural way of tackling stress and anxiety. 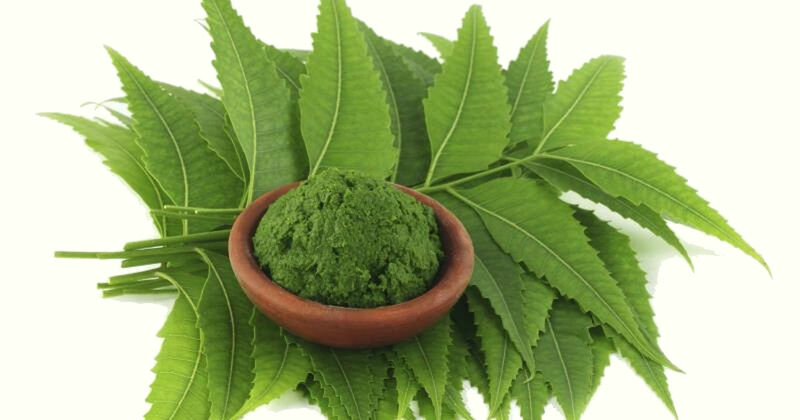 Several years of research and trials have resulted in a unique formula using low concentration Valerian essential oil, blended with Vetiver, Sweet Basil, and Sage. 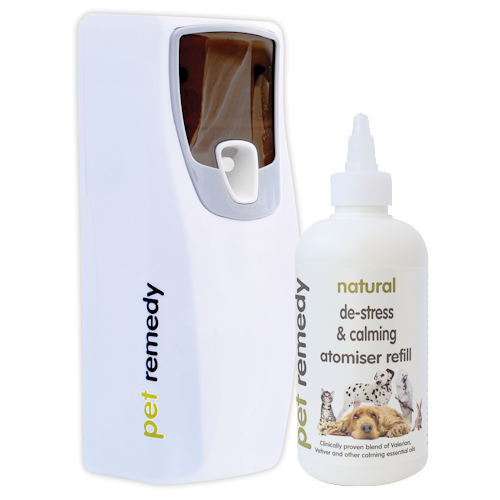 The atomiser uses the same water based pH neutral formulation as for the calming sprays and individual calming wipes. Locate at least 4 feet from the ground to ensure the water based mist disperses into the room. Usual setting is on 30 minutes. 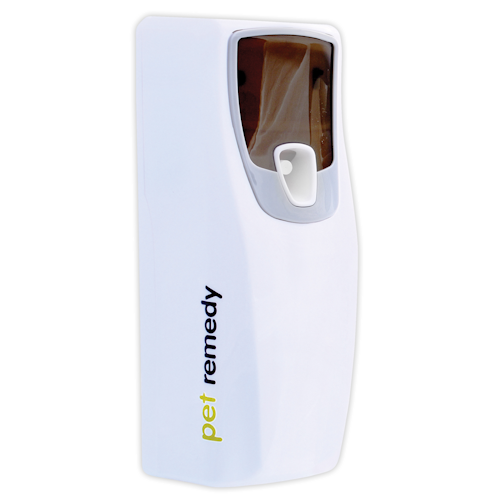 Ideal for locations where there is no electrical socket for a plug diffuser, such as conservatories, boats, caravans, stables, horse boxes and trailers. 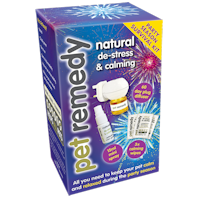 All you need to help keep your pet calm & relaxed during party season! £50 value! 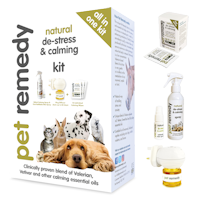 All in One pet calming kit.